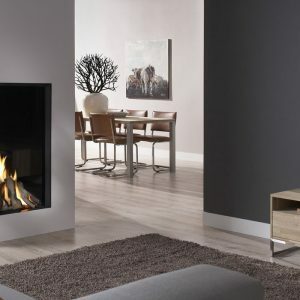 Excellence 60 is a landscape gas fire with authentic log fire beds and interior finishes in smooth black, natural stone or grey slate. 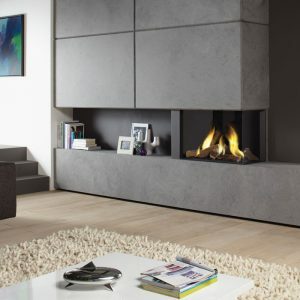 The stone finishes are also available as special pillars that can be fitted on both sides of the glass window. 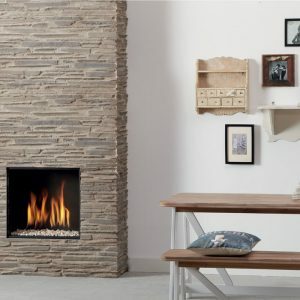 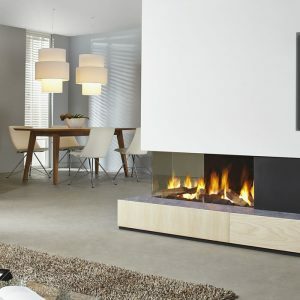 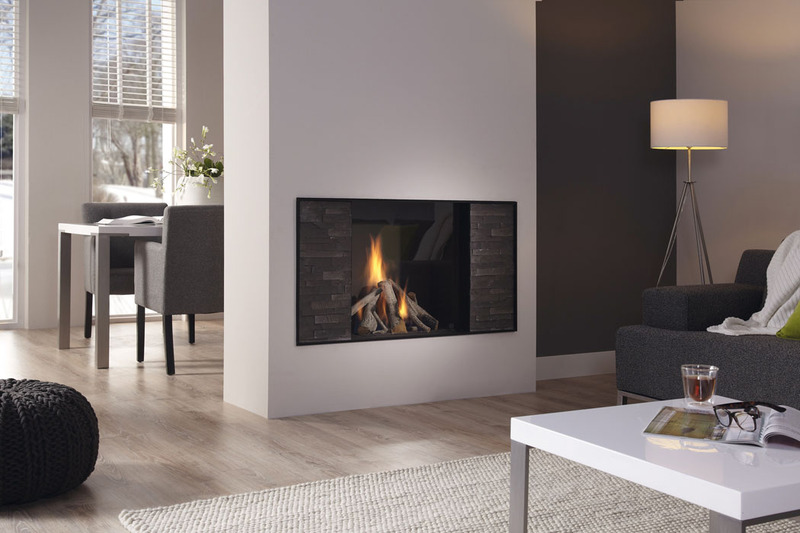 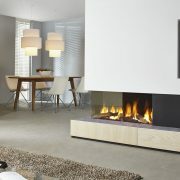 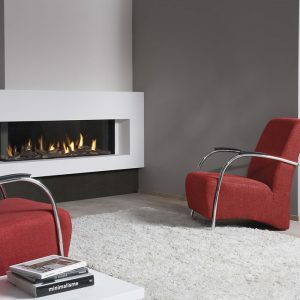 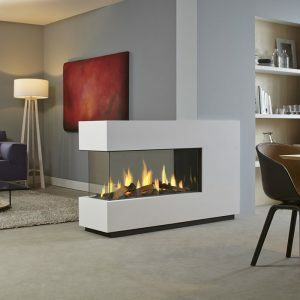 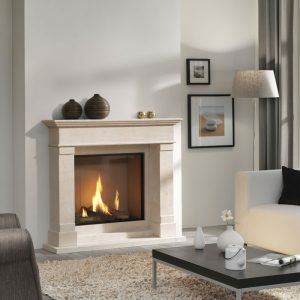 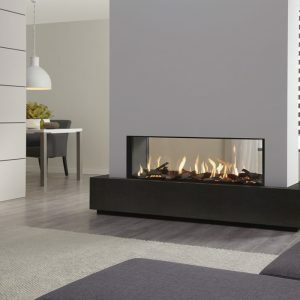 This creates a seamless effect and gives the illusion of a completely open fire. 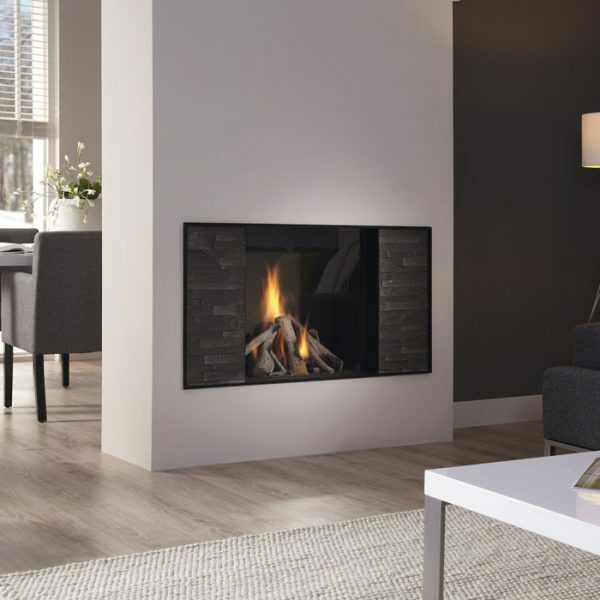 Running on natural gas, this built-in fire with an impressive 85% efficiency and 7.3kW output coupled with the Dru EcoWave system, makes this a very cost effective investment for your home.